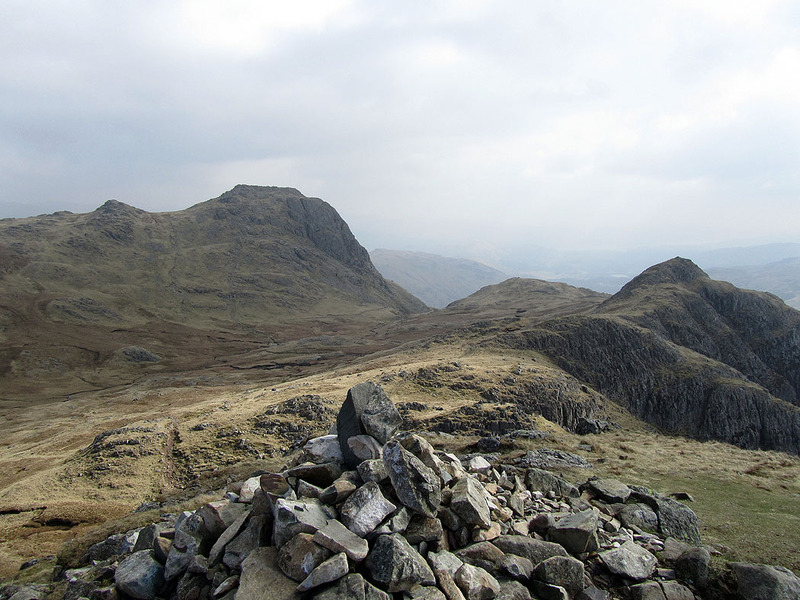 A round of the Langdale Pikes taking in Loft Crag, Pike o'Stickle, Harrison Stickle, Pavey Ark, Thunacar Knott and Sergeant Man. 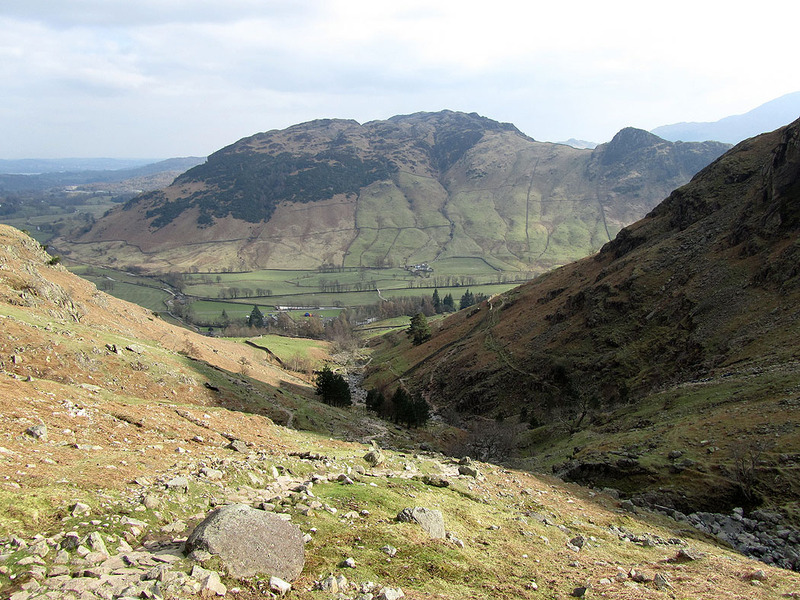 The view up Langdale to Pike o'Blisco and the Crinkle Crags. 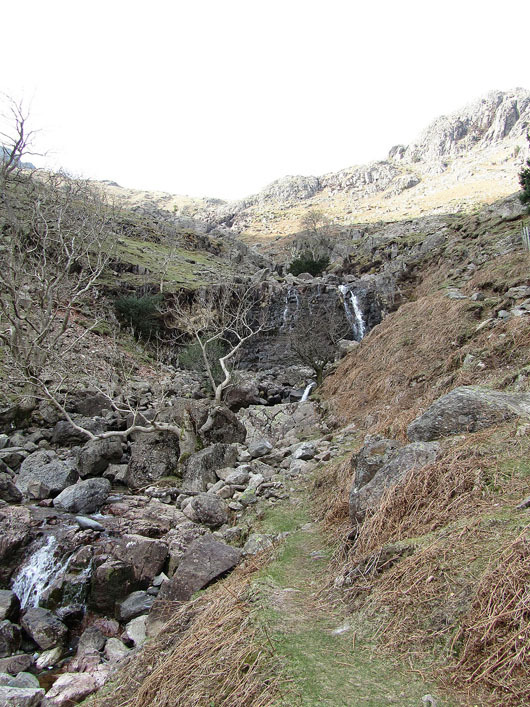 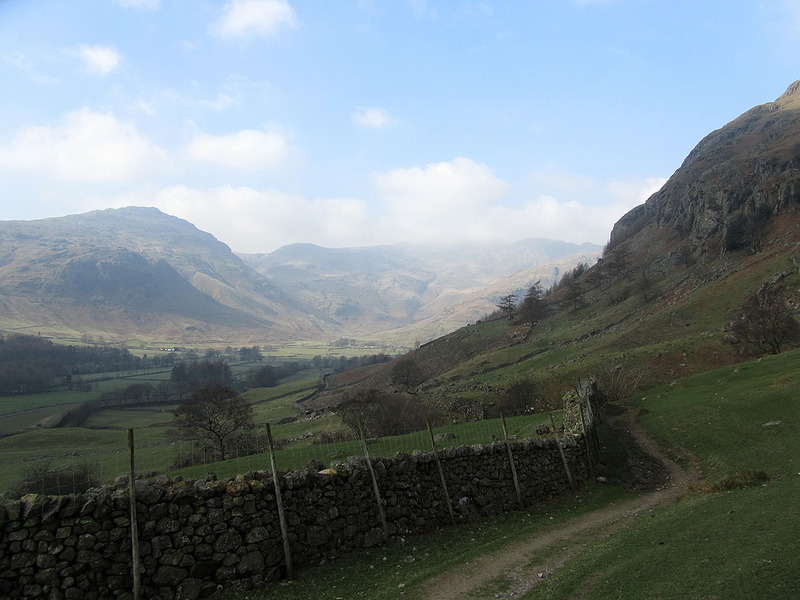 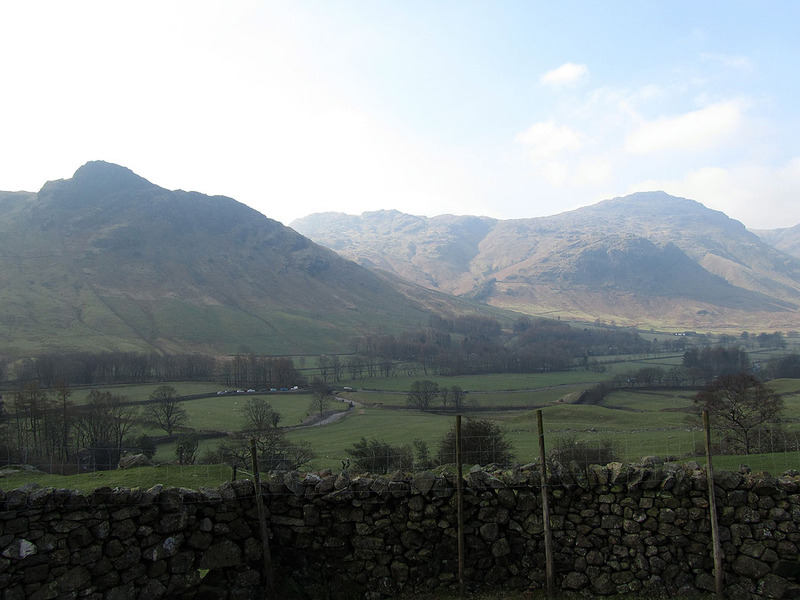 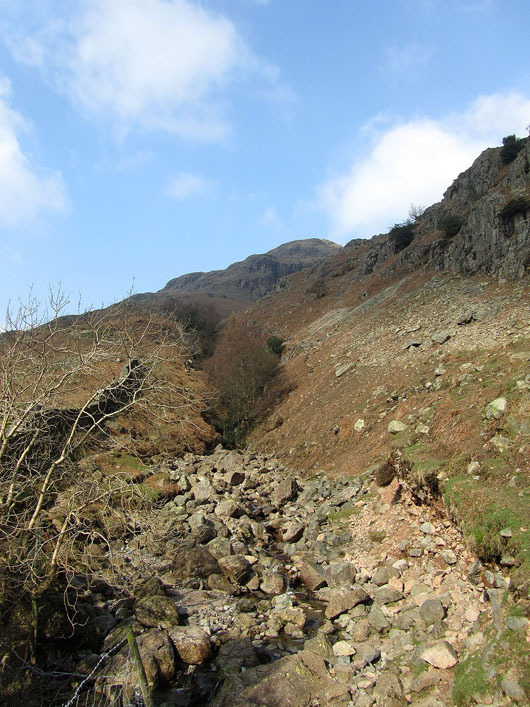 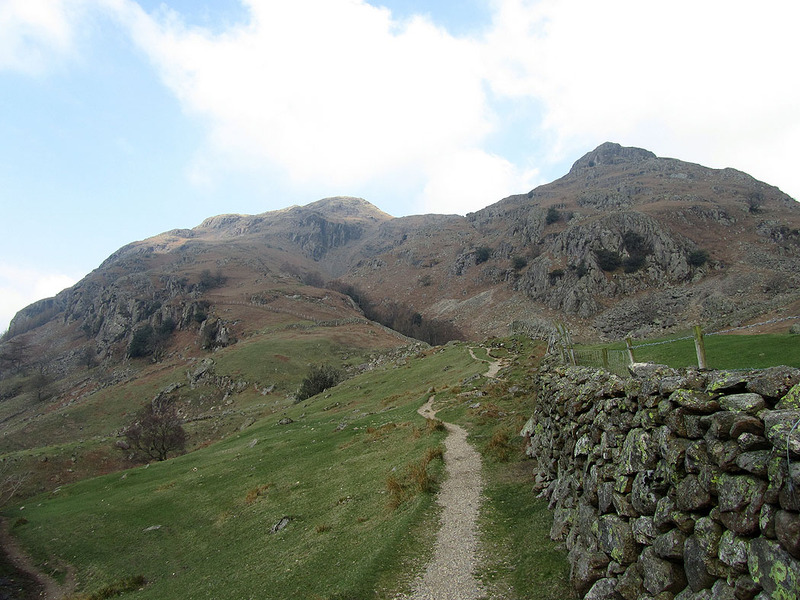 I parked in the NT car park at Stickle Barn and set off for the path up the side of Dungeon Ghyll. 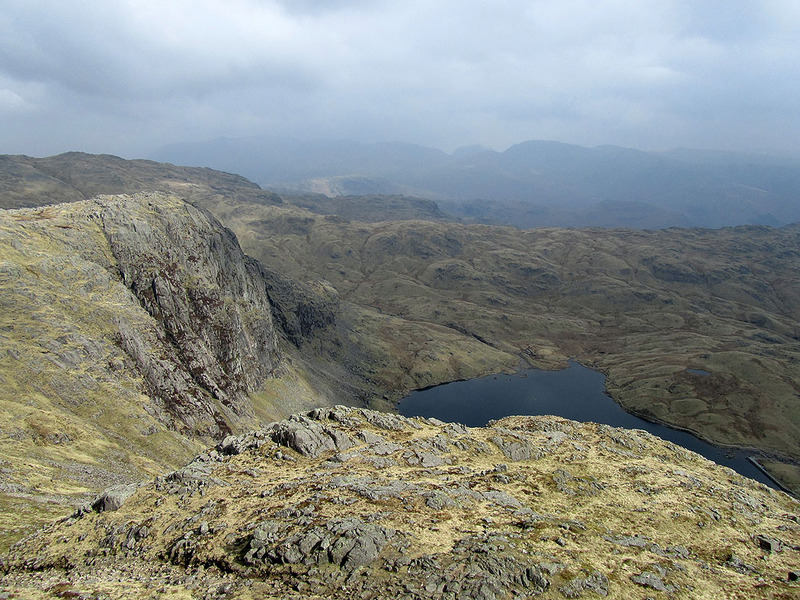 Blea Tarn. 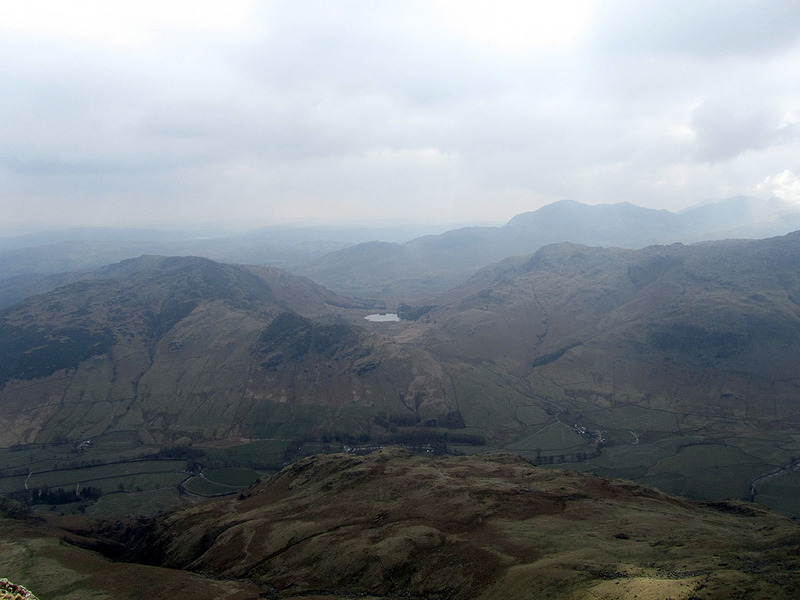 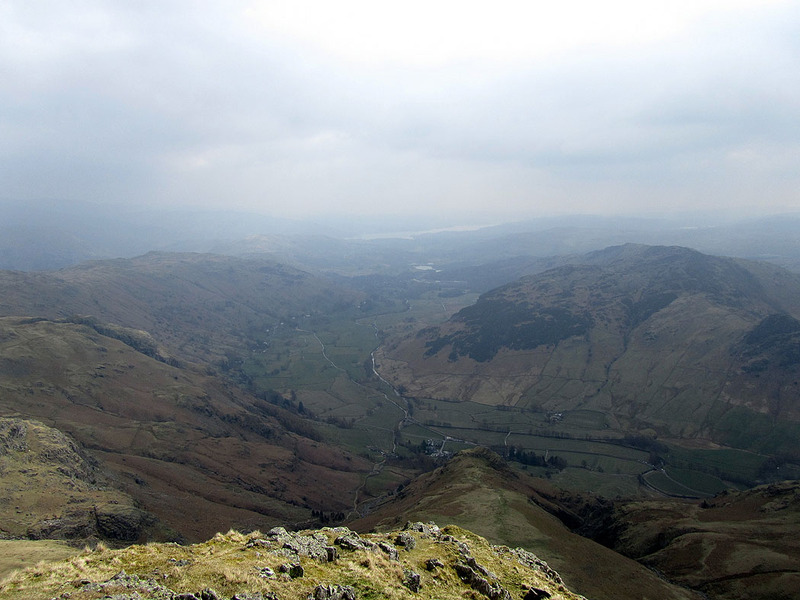 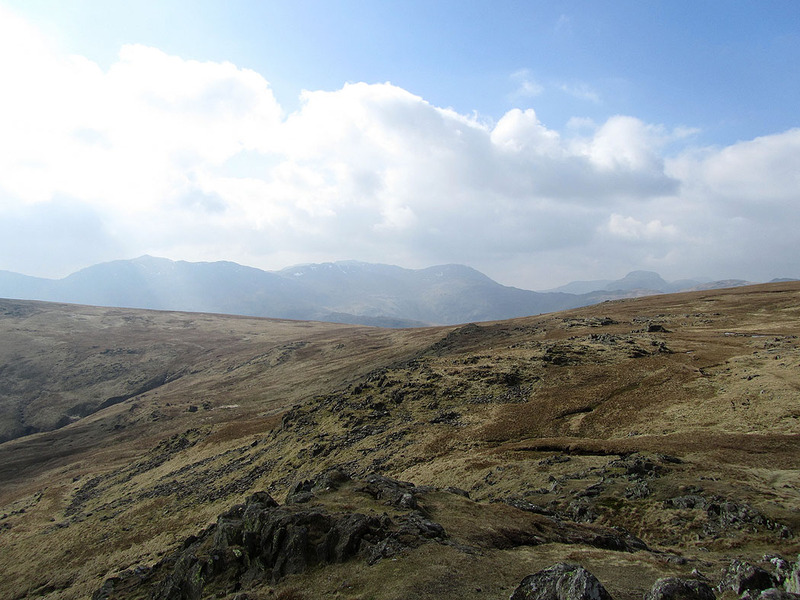 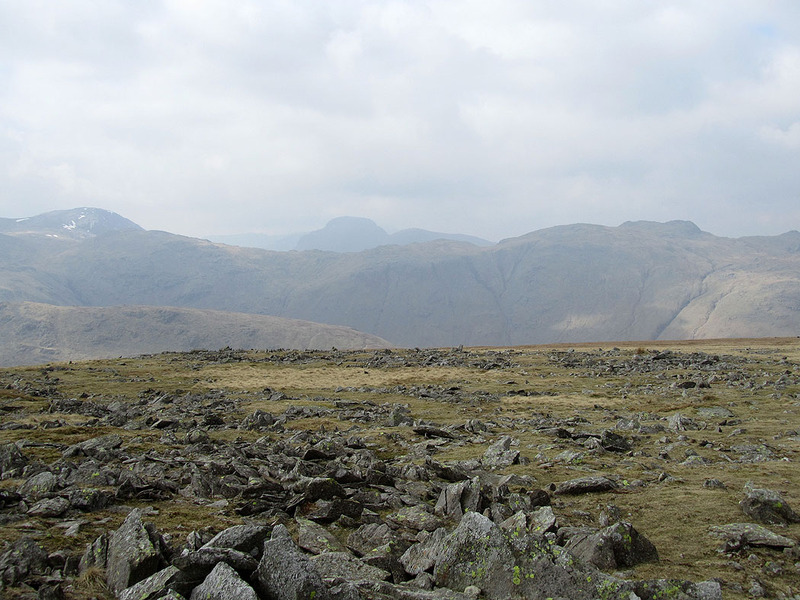 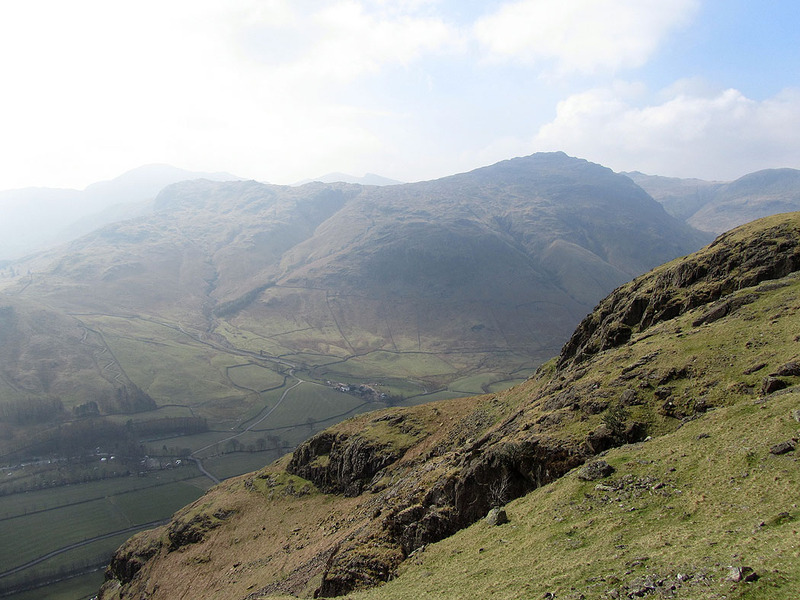 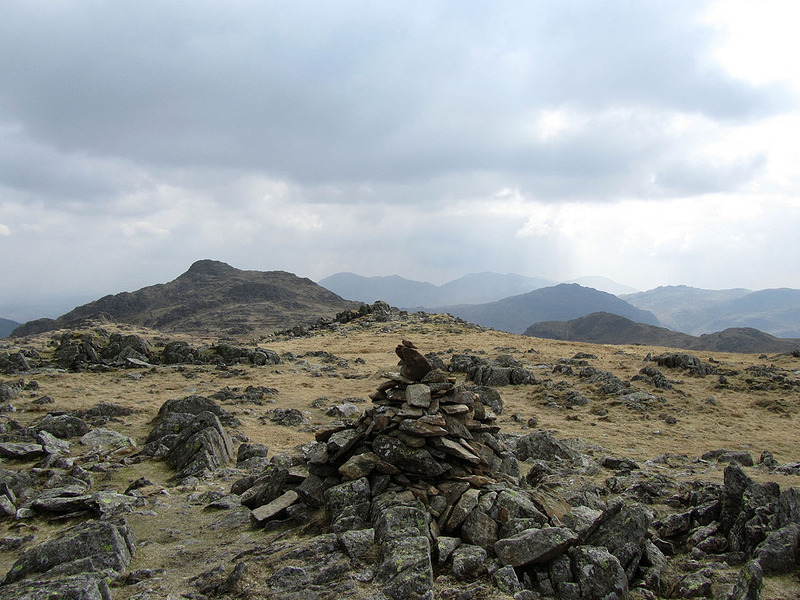 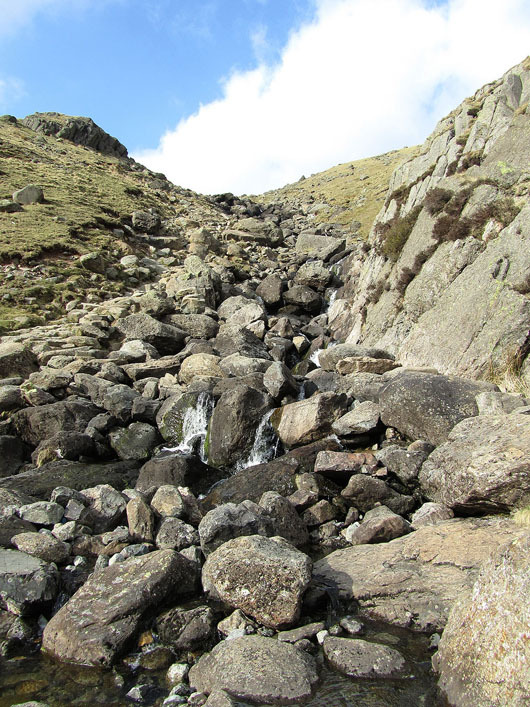 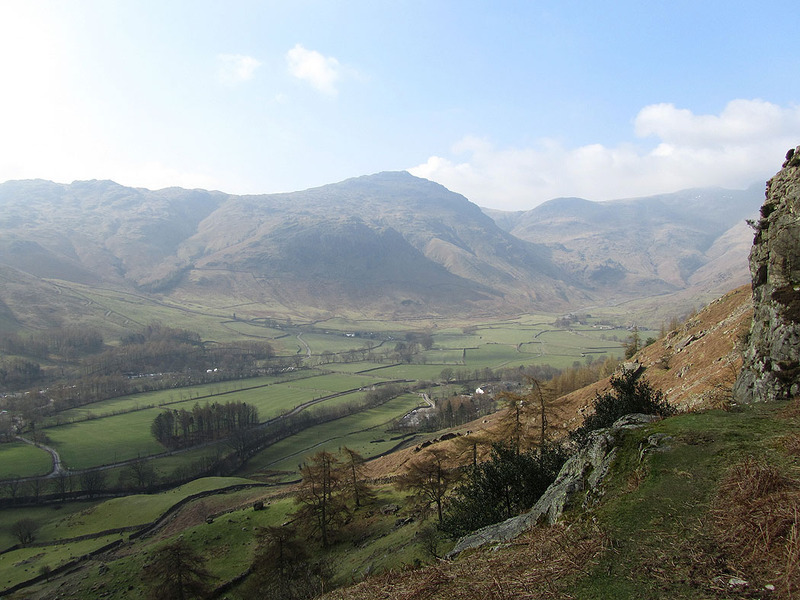 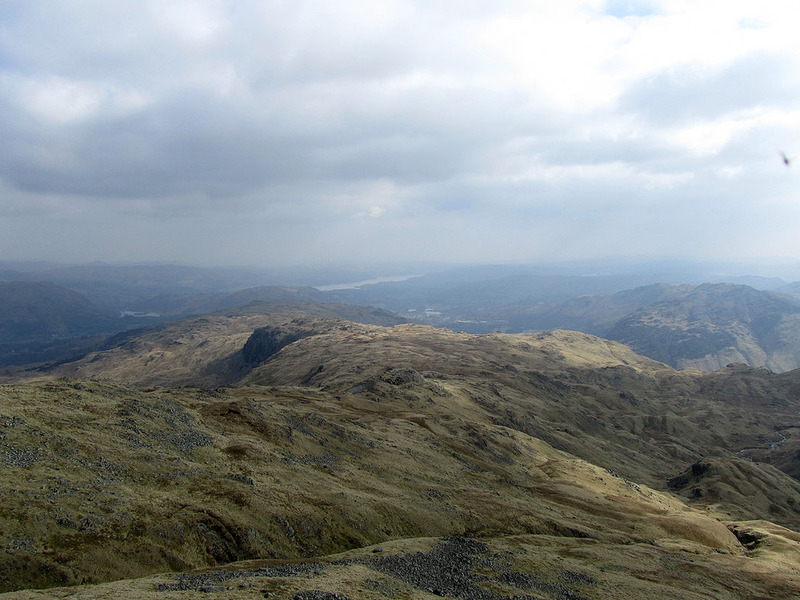 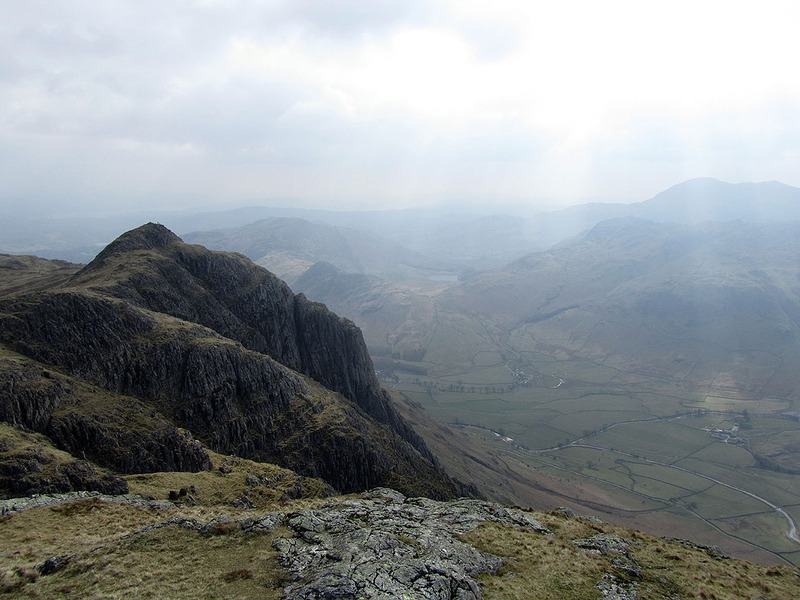 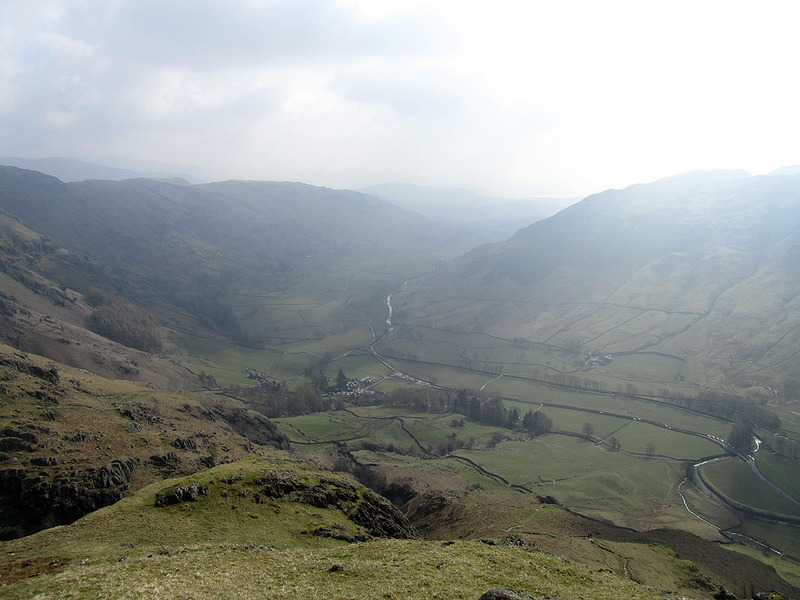 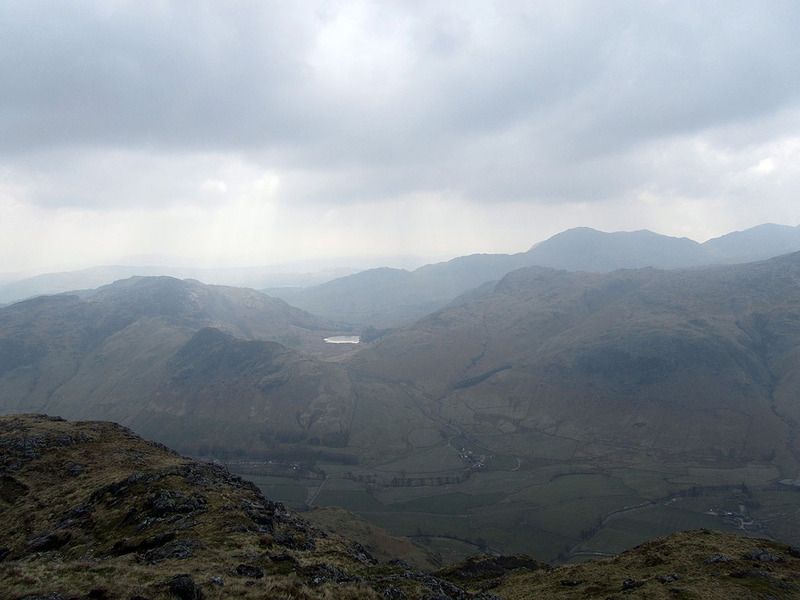 Lingmoor Fell to its left and Blake Rigg to the right. 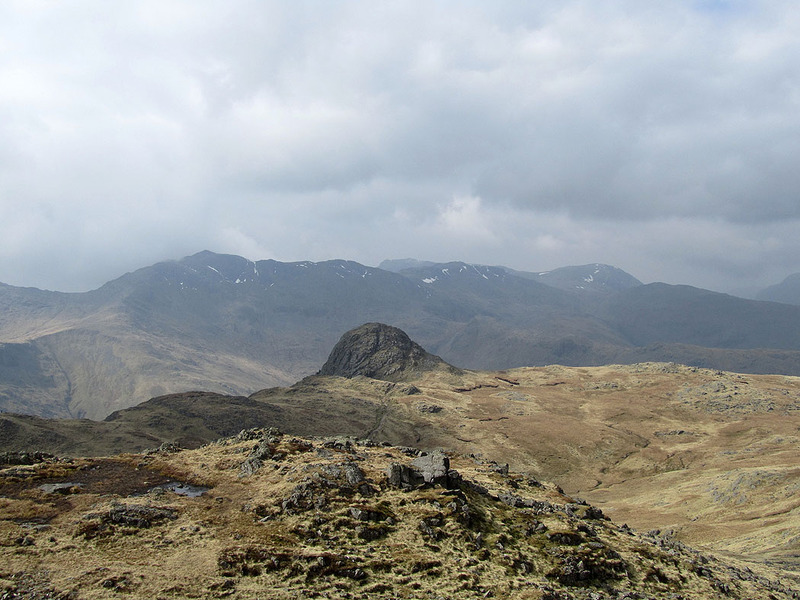 Crinkle Crags and Bowfell from Harrison Stickle. 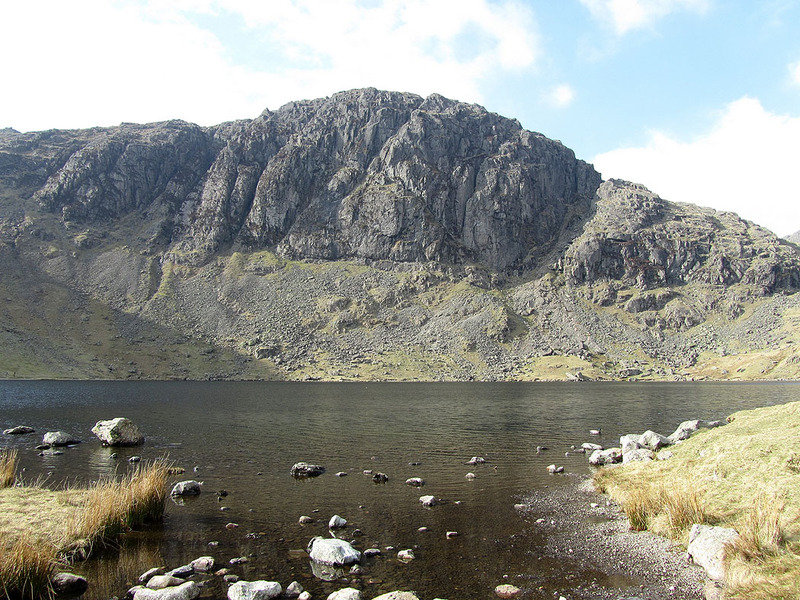 Loft Crag and Pike o'Stickle in the foreground. 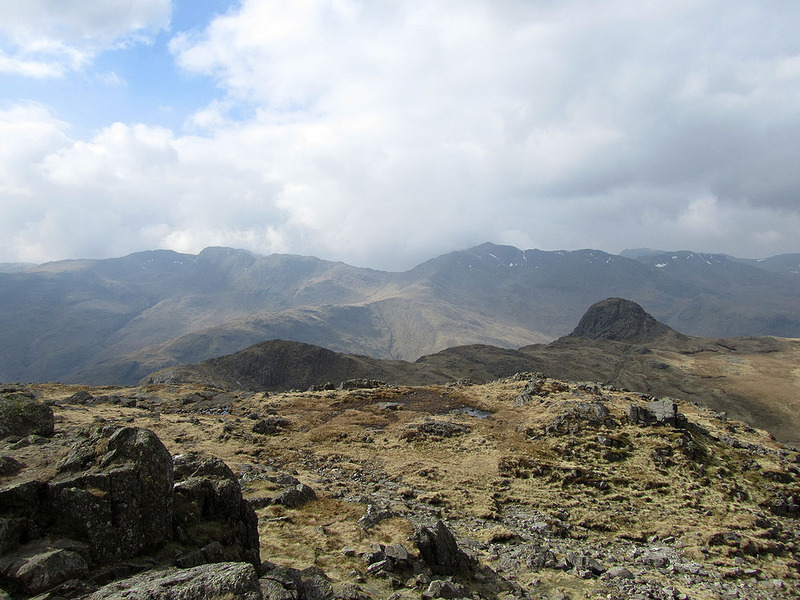 Crinkle Crags and Bowfell. 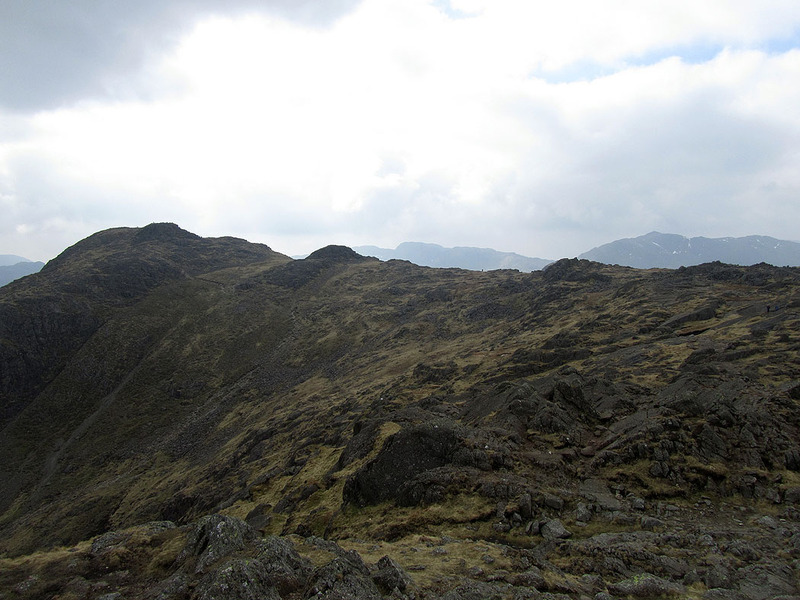 Loft Crag and Pike o'Stickle in the foreground. 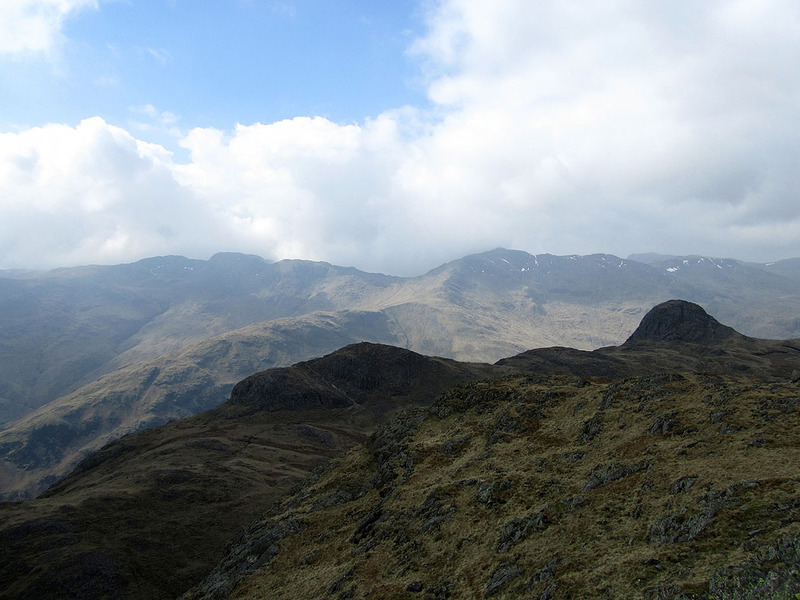 Bowfell, Esk Pike and Great End. 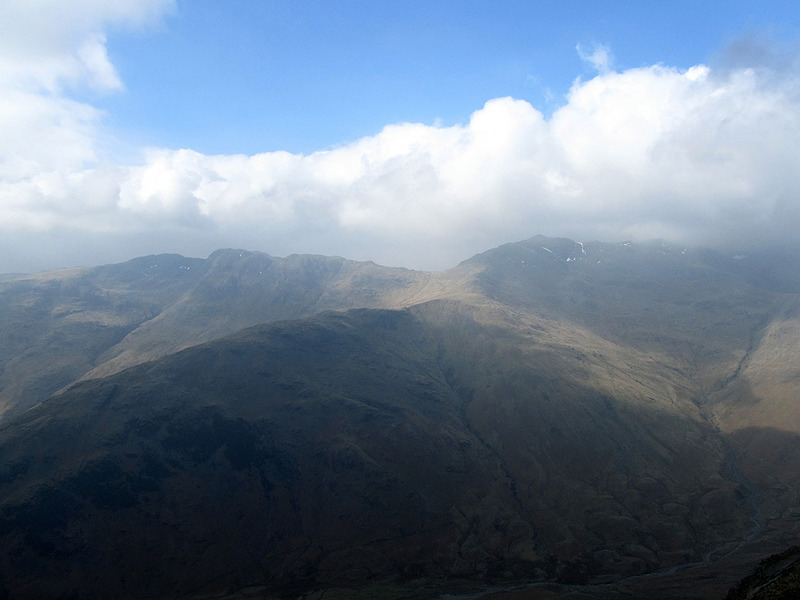 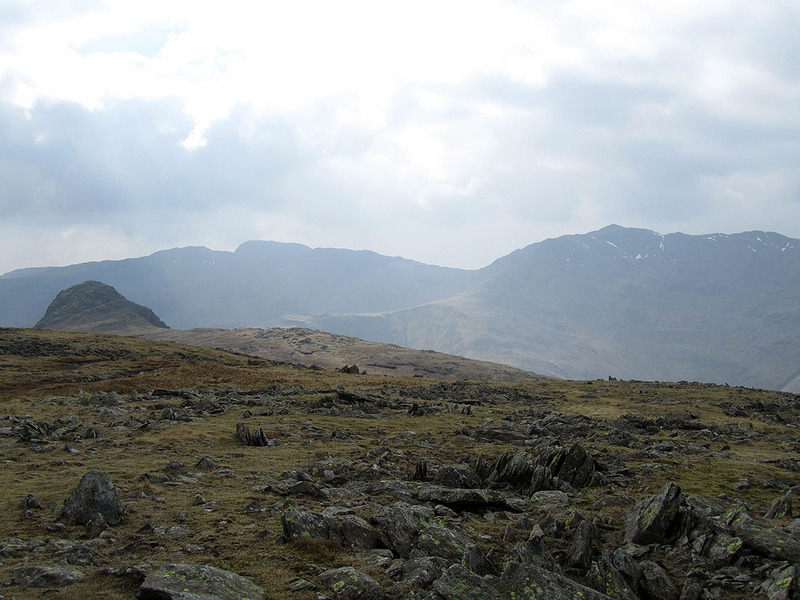 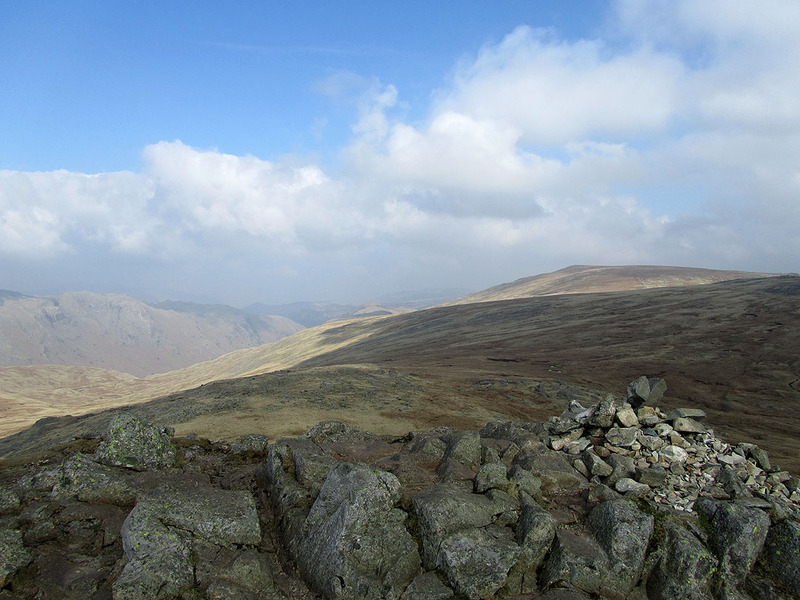 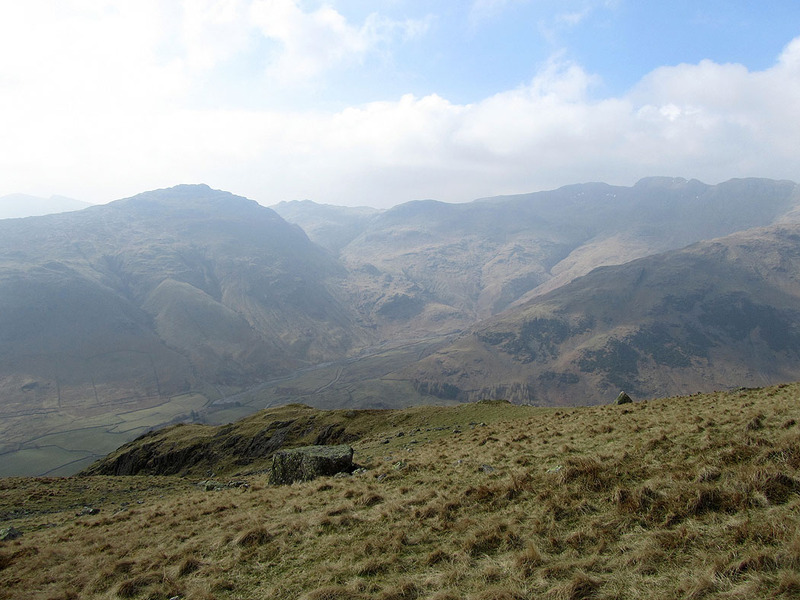 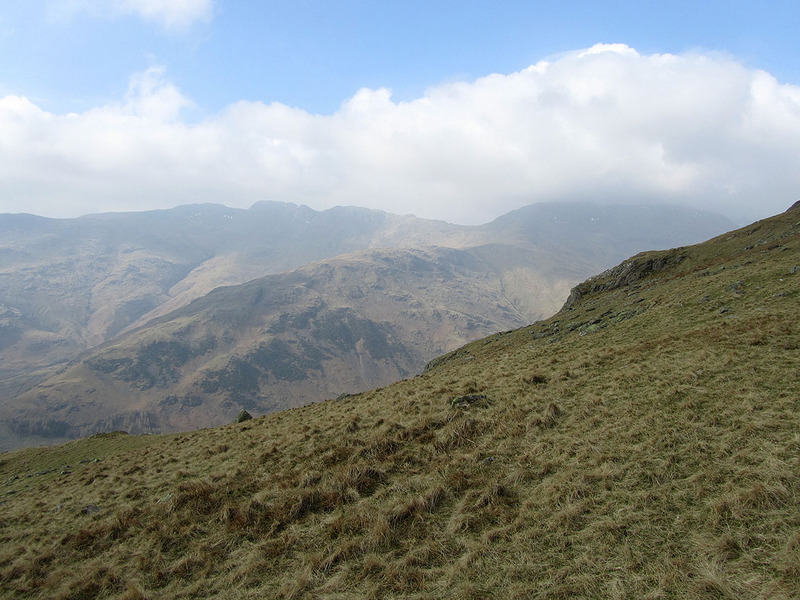 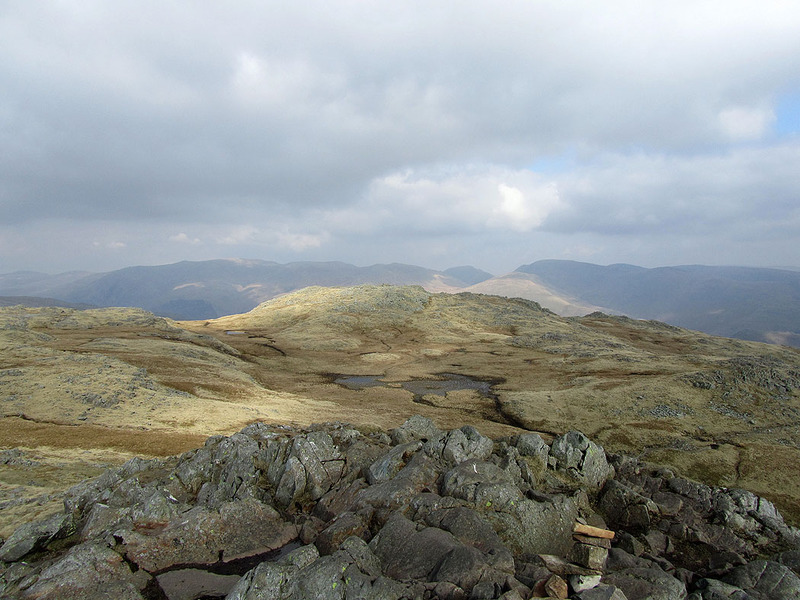 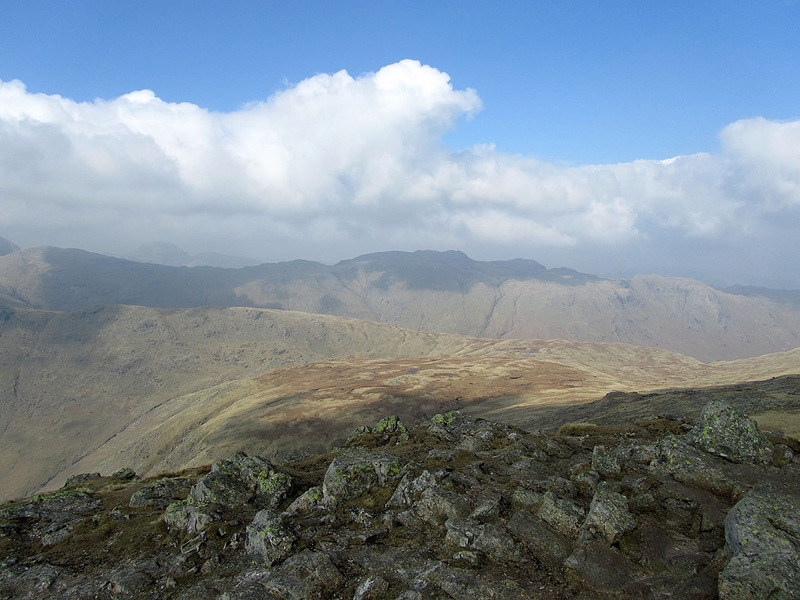 Scafell Pike can be seen in the gap between Bowfell and Esk Pike. 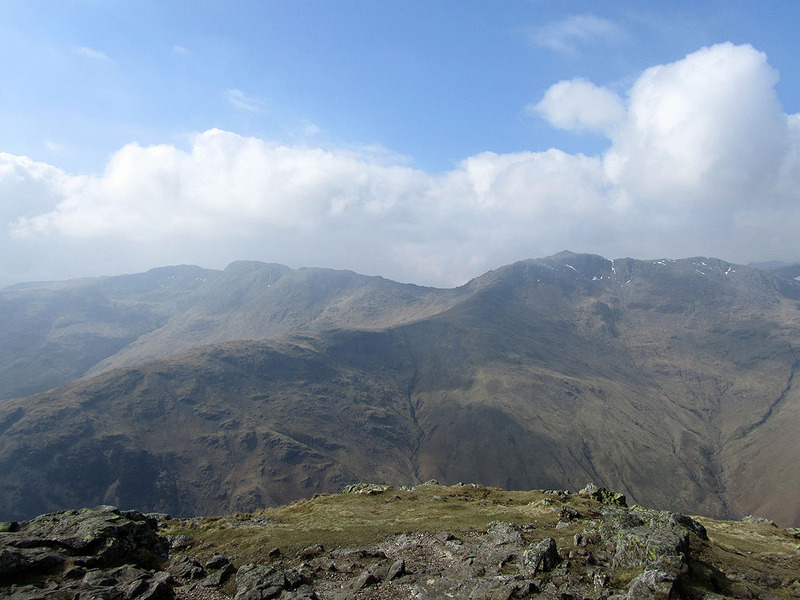 Pike o'Stickle in the foreground. 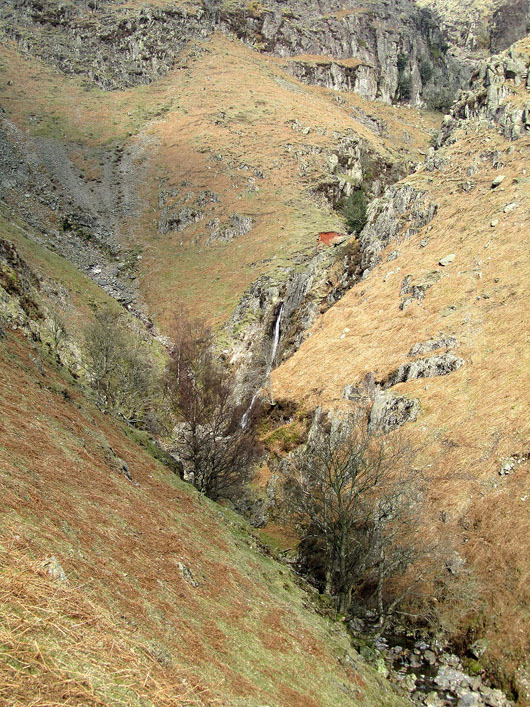 Great End. 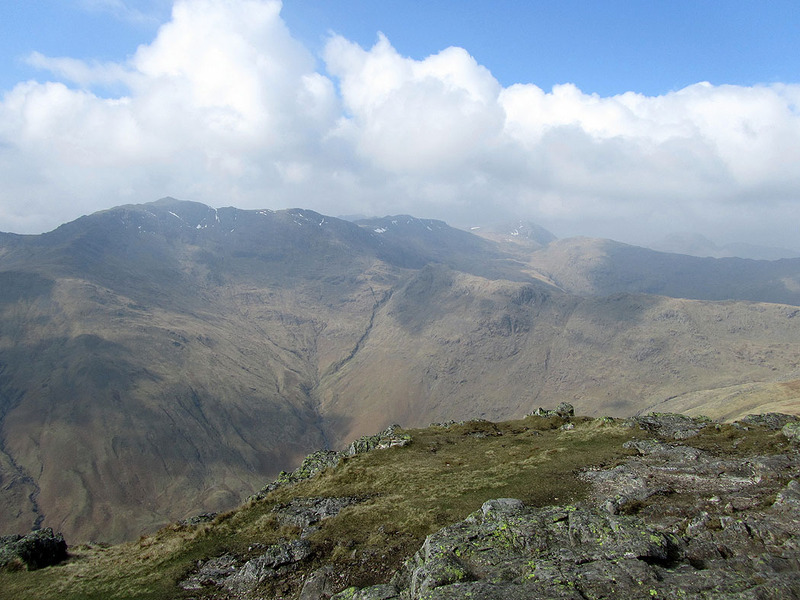 The ridge of Allen Crags and Glaramara with Great Gable behind.